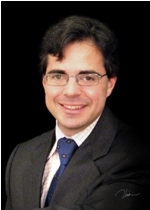 Alvaro Fernandez will discuss "How to Retool Brain Health for the 21st Century" via a one-hour virtual Q&A session hosted live at SharpBrains.com on Friday, March 16 from 10 to11a.m. EST. The conversation will be based on the Meeting Report from the 2011 SharpBrains Summit. The way we do brain health is essentially broken. We need a new culture and toolkit to empower sharp brains of all ages to take more proactive care of their brain. Alvaro Fernandez, co-founder and CEO of SharpBrains, has been named a Young Global Leader by the World Economic Forum, an honor recognizing the most distinguished leaders under age 40 from around the world. Fernandez, 39, co-founded and runs SharpBrains, a Washington, D.C.-based independent market research firm and think tank tracking health and educational applications of brain science. 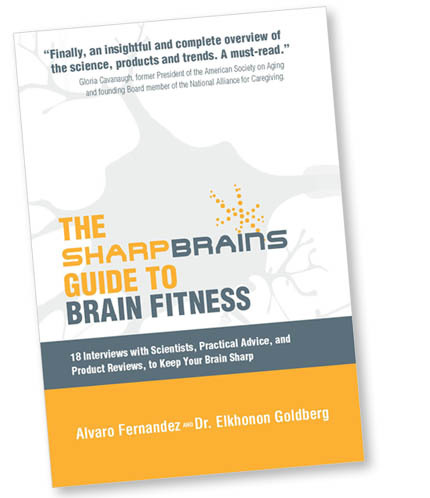 He is also the co-author of “The SharpBrains Guide to Brain Fitness: 18 Interviews with Scientists, Practical Advice, and Product Reviews, To Keep Your Brain Sharp,” recently recognized as a “Best Book” by AARP. Mr. Fernandez will discuss "How to Retool Brain Health for the 21st Century" via a one-hour virtual Q&A session hosted live at SharpBrains.com on Friday, March 16 from 10 to11a.m. EST. The conversation will be based on the Meeting Report from the 2011 SharpBrains Summit. “The way we do brain health is essentially broken,” he said. “We need a new culture and toolkit to empower sharp brains of all ages to take more proactive care of their brain." The major message from the 2011 SharpBrains Summit was that there is a tremendous need to devote sufficient attention and resources to preventive and capacity-building brain health strategies across the lifespan, coupled with inexpensive and scalable assessments, Fernandez said. Mr. Fernandez joins a select forum of global leaders, including Wikipedia founder Jimmy Wales, Google co-founders Sergey Brin and Larry Page, and Salman Kahn, founder of the Kahn Academy. With the honor, Mr. Fernandez can participate in the Young Global Leader community for a five-year term, which allows him access to world class events, including the World Economic Forum Annual Davos Meeting. It provides a platform for collaboration and joint action and a voice to influence the direction of global policy and business. SharpBrains is an independent market research and publishing firm tracking brain fitness and applied neuroplasticity research. 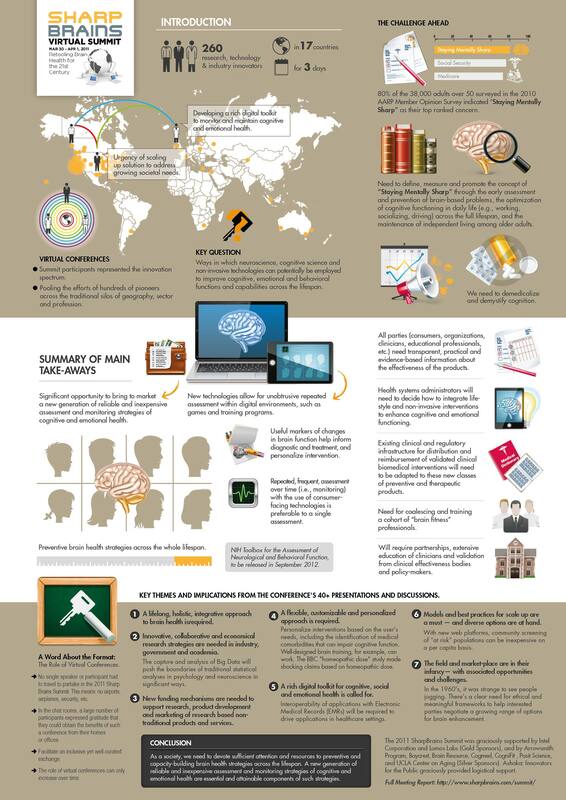 SharpBrains.com, the firm’s educational blog and wesite, is one of the most popular brain blogs with more than 100,000 monthly readers and more than 40,000 eNewsletter subscribers. The 2011 meeting report is available at: http://www.sharpbrains.com/meeting-report-2011-sharpbrains-summit. A native of Spain, Alvaro Fernandez earned a master’s degree in education and an MBA from Stanford University. Previously, he earned a bachelor’s degree with honors in economics from the University of Deusto (Spain). Since 2008 he has been teaching the Science of Brain Health for the Osher Lifelong Learning Institute at the University of California-Berkeley, and is a recognized expert in the fields of brain fitness and brain health innovation.